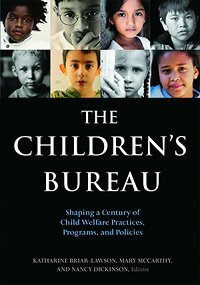 This edited book on the Children's Bureau and child welfare delineates legacies and highlights the ways that the Children's Bureau has influenced modern-day child welfare practices. As a centennial marker in honor of the Children's Bureau, this book also charts future agendas and innovations that may guide more effective practice, programming, and policies. Social workers launched the Children's Bureau in 1912. Originally in the Department of Labor, the Children's Bureau has a century-long legacy linked to the social work profession. Ultimately, this book is a testimonial to the durability of the Children's Bureau, the changing nature of the challenges addressed, and the ongoing leadership role of social work. The authors represent social work leaders in the field in child welfare policy, practice, and research.